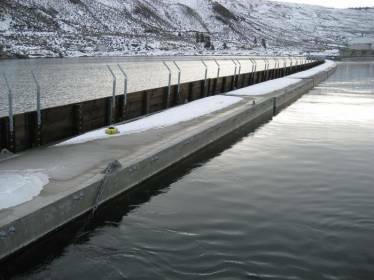 The Wells Dam in North Central Washington was in need of protection from the vast quantities of debris floating down the Columbia River. 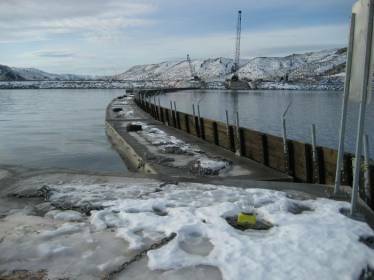 The solution was to install a half-mile floating concrete boom across the Columbia to deflect debris from the face of the dam. The debris boom consisted of 57 concrete boom floats, which were strung between concrete-encased anchor floats. The largest of the anchor floats was 12′ x 60′ and 5′ deep, and weighed as much as 60 tons. 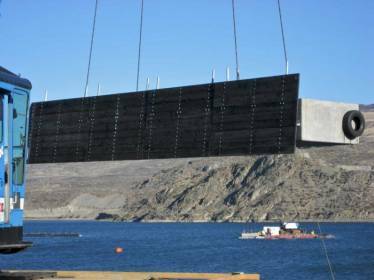 Portland Bolt supplied thousands of 3⁄4” roll-threaded hot dip galvanized rods that secured the floats together for this project. In fact, altogether there were over five miles of rods manufactured and galvanized by Portland Bolt for this project alone.